... and he's not alone in believing the former Honda team will dominate. Toyota's talented German star Timo Glock is confident that the only Japanese team remaining in Formula One will be a strong contender this year after the cars were fast and reliable in winter testing. But he has joined a chorus of drivers who sense that the new Brawn GP cars of Jenson Button and Rubens Barrichello should be way too quick in Sunday's season-opening ING Australian Grand Prix at Albert Park. "There's probably a question mark over where we sit among the teams on speed; it's all quite close, except that the Brawns seem very quick," he told wheelsmag.com.au this week. He doesn't feel the Brawns were up to any tricks to try to impress potential sponsors. 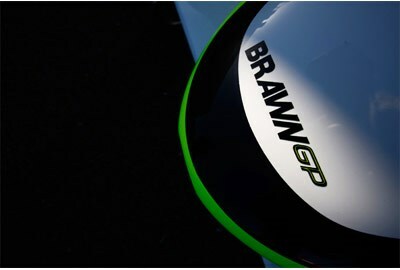 "For me, the Brawn team will have both cars on the front row in qualifying," he declared. "I think their speed has been a true reflection of their true pace. Ross Brawn isn't a guy who would get up to any funny business. His cars were very strong over one lap or on a full run. "You have to remember that development on that car started very early because Ross decided to divert the effort from the 2008 car to the 2009 car." After tomorrow, the world will know if Glock has an accurate crystal ball.